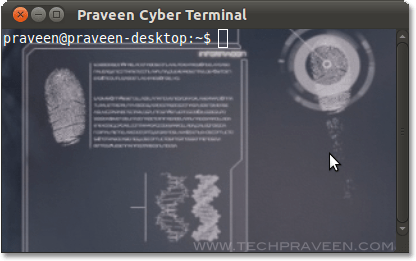 How to make Ubuntu Terminal Window Transparent? You are here: Home / Linux / How to make Ubuntu Terminal Window Transparent? 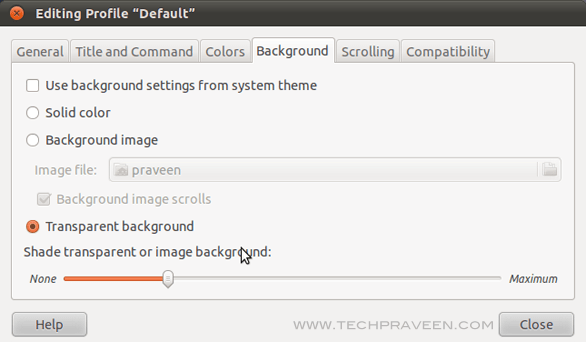 Are you bored with the default Terminal Windows solid colors? 2. Right click on the terminal. Select Profiles. 3. 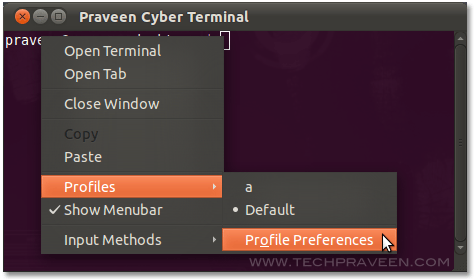 Click on “Profile Preferences”. I never knew this. Thanks for sharing. I’ll change mine later this day! My brother tried ubuntu system on windows xp and it works well. And about the transparency of the terminal window, It made it good compare to windows 7.